« No seriously, where did that hair pen go? You know the gel growing up in the big jar with the brown gunk yes that’s what I imagine when I think of gel. With Eco style gel I have had a whole new experience. 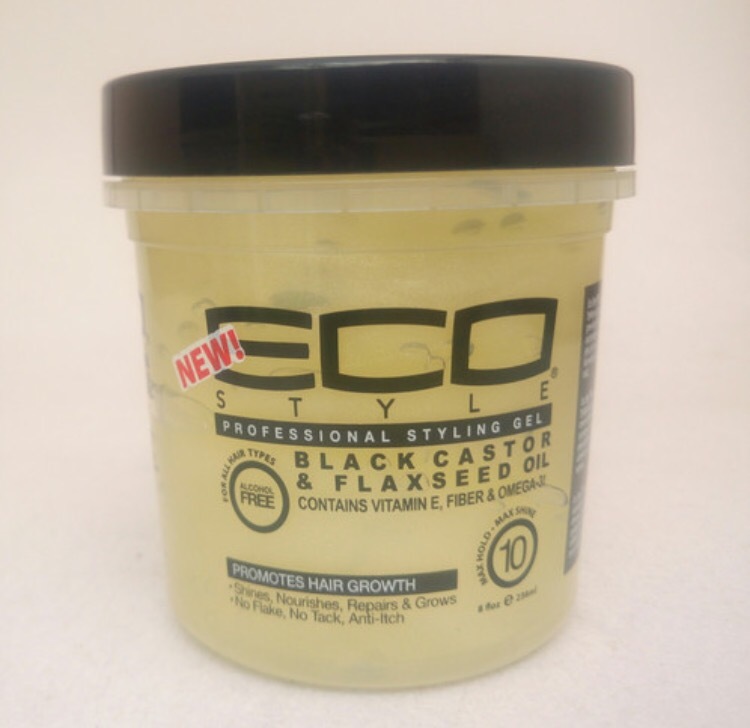 I finally tried Eco style with flaxseed and black castor oil. The gel is anti itch, and flake. The gel is also a great moisturizer to say the least. If you plan to use this product I would recommend using it sparingly a.k.a a little bit goes a long way. If you are generally heavy-handed you don’t need to be with this gel. The first time I used it a few weeks ago I only used the gel. I wanted to see its benefits on its own first. It left my hair with great shine, and get this it promotes growth. If you are looking for a product that has that property this might be worth trying. It smells great and even has some shimmer to it. It doesn’t have alcohol and that’s always a plus in my book.The only thing to be aware of is that it has a level ten hold. A ten hold means if you’re not careful you will have a gel cast.Again please note a little bit goes a long way. When I finished I did have a bit of hardness to my hair, so I took a small amount of coconut oil and scrunched on both sides of my head to soften my curls.After I scrunched with the coconut oil my hair was good to go. I did this on a wash and go and I ended up with great definition and minimal shrinkage.I have heard great reviews about it and I would have to agree. I found one particular video very helpful.Here is the link https://www.youtube.com/watch?v=UeLDCyqEvh4. Remember, be happy, be curly, be you, and you will never fail. This Post was posted in hairstory, Wash Day Chronicles and tagged #curlycommunity, #naturalhairteam, #shrinkage, curly hair, hair tips, healthy hair, natural hair. Bookmark the permalink.